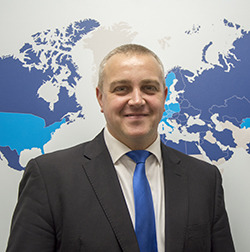 BSRIA has appointed Zoltan Karpathy as operations manager in its WMI department, effective from the start of this month. The appointment highlights the association’s commitment to designing, implementing and managing the effective and efficient operation of the department to ensure delivery of business objectives. Zoltan joined BSRIA WMI in 2010 and has until recently been leading WMI Building Controls and Smart Energy programmes. He is a highly professional manager with commercial awareness and excellent people skills.